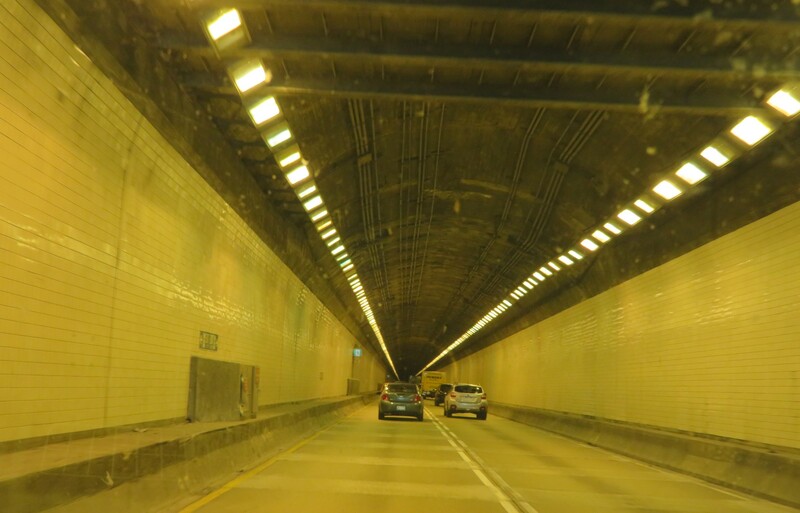 Our 2018 Road Trip, Part 41: Tunnel Visions « Midlife Crisis Crossover! 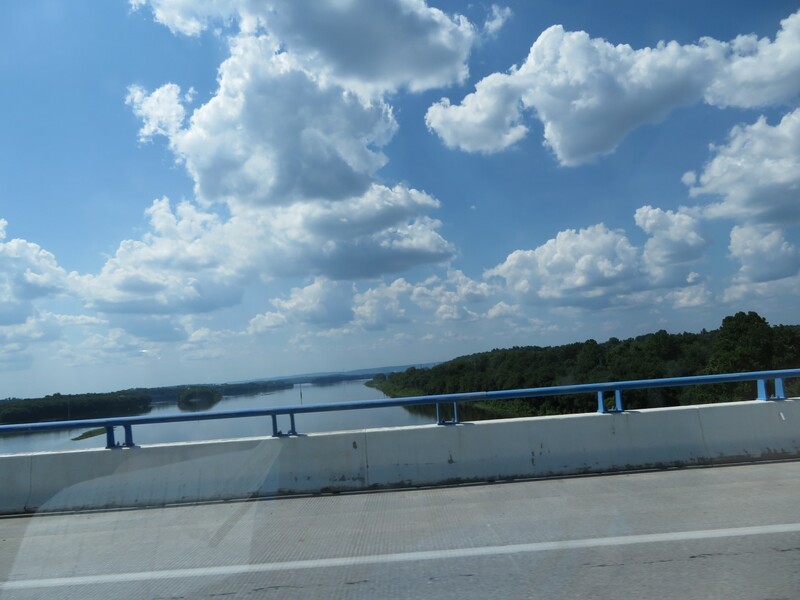 The four-hour span from Lancaster to Monroeville was mostly painless except the mountainside inclines that slowed our progress with their curvy steepness, but we’d planned for no specific, photogenic intermissions. We drove, and drove, and drove and drove and drove. 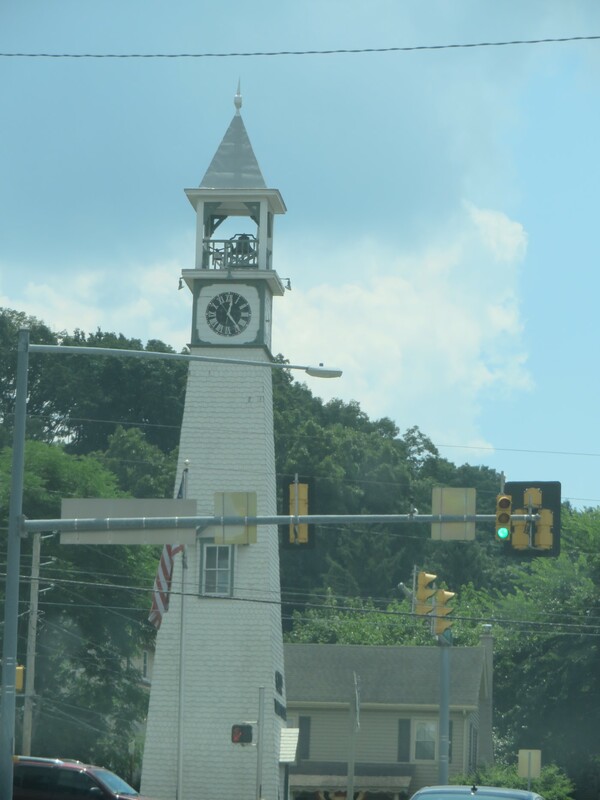 Clock tower in the tiny town of Gap, slightly west of Valley Forge. 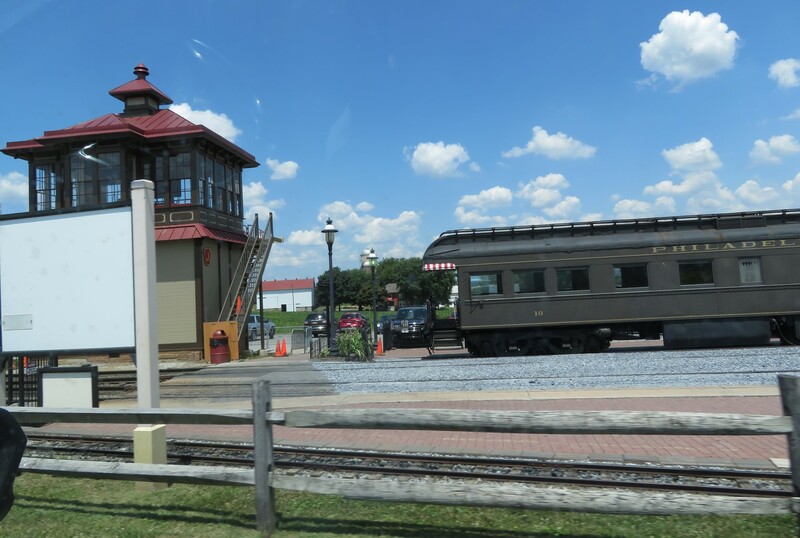 Farther west was Strasburg, where they really, really love trains. See what I mean. 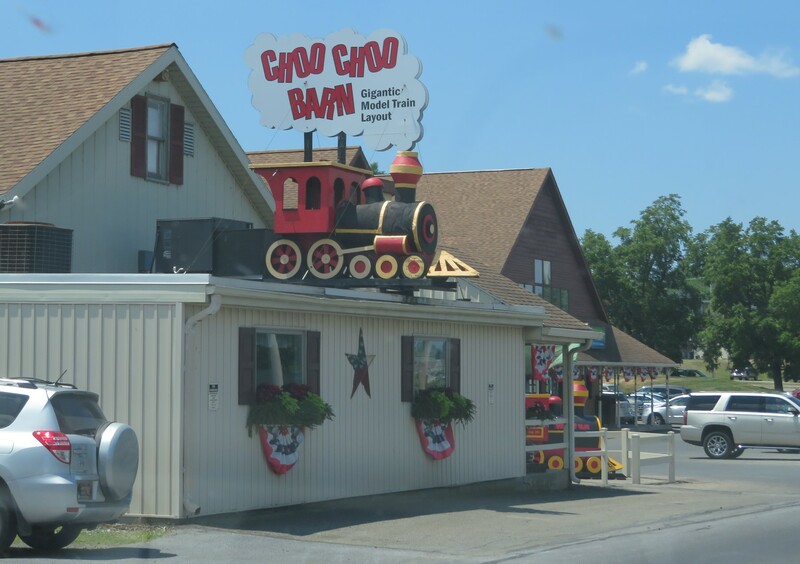 If you’re looking for your ideal railroad getaway, choo-choo-choose Strasburg! Eventually we had to seek out this sign, not our favorite. 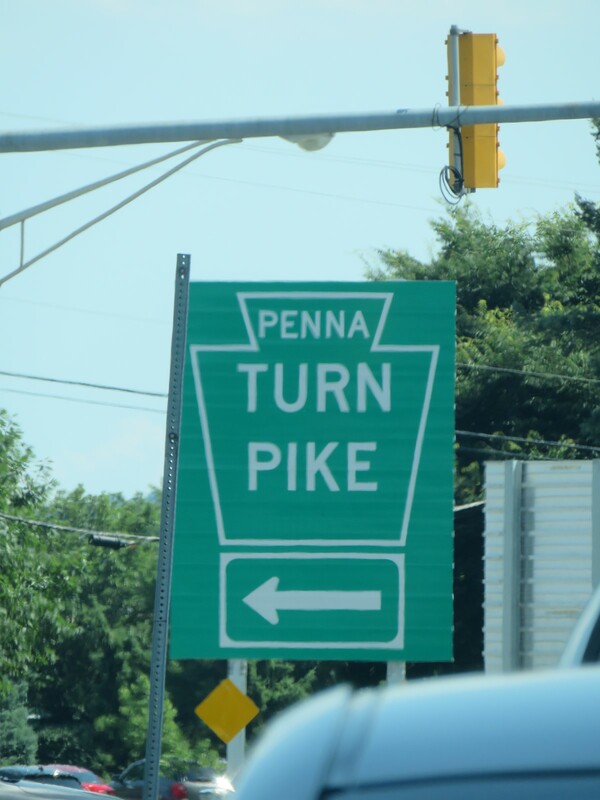 This time the Pennsylvania Turnpike cost us far too many bucks. 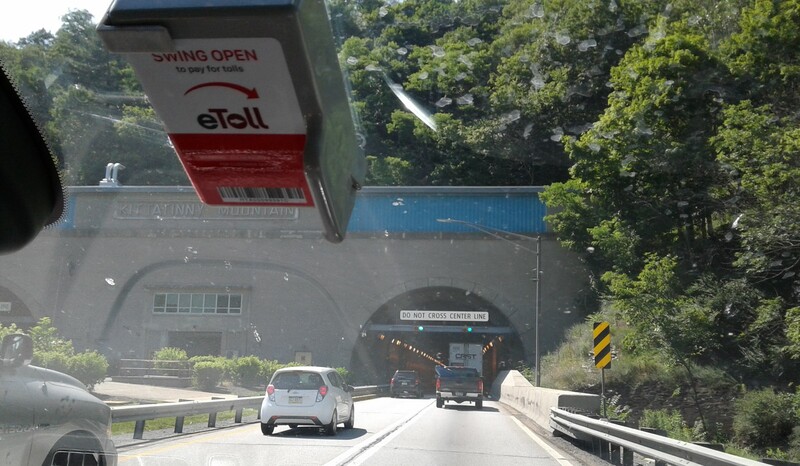 Once again we plunged through the gaping maw of the Kittatinny Mountain Tunnel., viewed through a haze of bug guts and toll-paying machine, which wasn’t supposed to work but inexplicably kicked in once, back in Albany. By now we were far from the remnants of the Erie Canal, but it was still a pretty waterway moment. We arrived in Monroeville, just east of Pittsburgh, right around dinnertime and thankfully with a bit of sunlight left. Our hotel was hidden atop a high hill in the middle of an otherwise flat commercial area. It was impossible to see coming from the east. 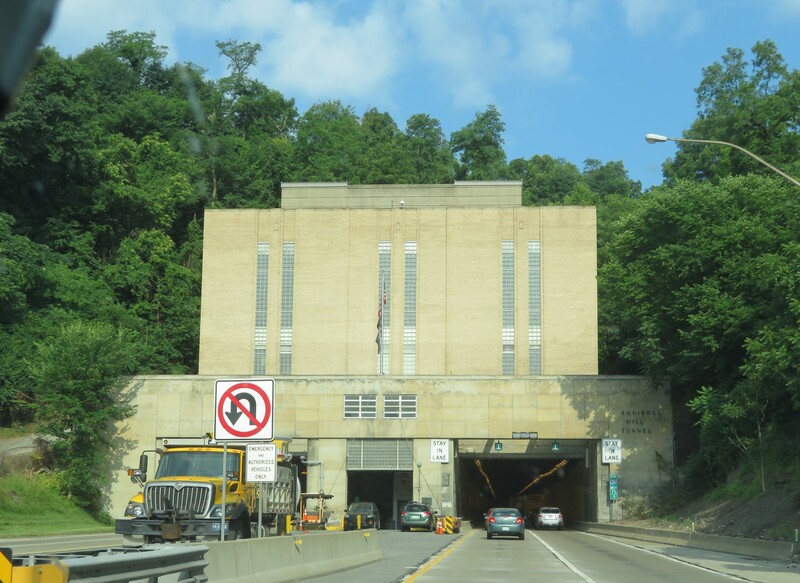 We drove a half-mile too far, turned around, and spotted their Batcave-like entrance on the way back. We dumped our stuff and immediately fled to the nearest comfort food we could find that wasn’t a local fast-food chain. 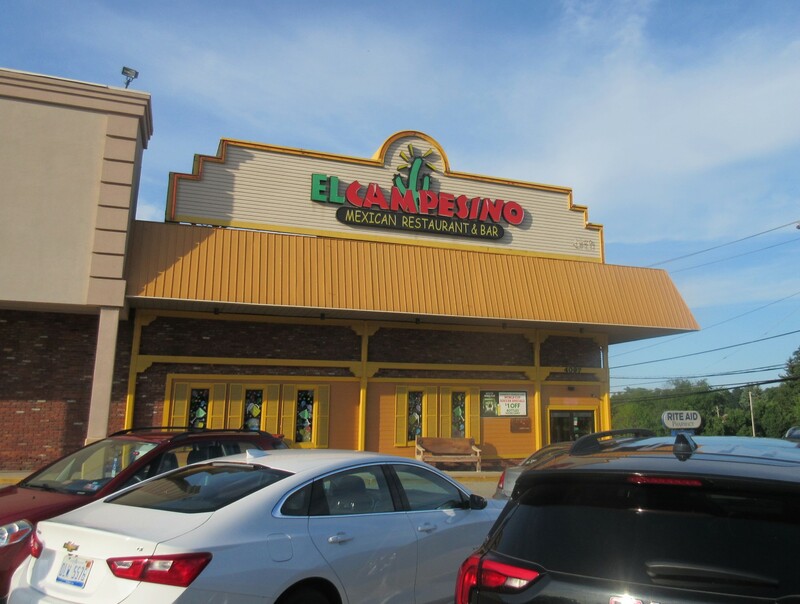 The winner: the well-rated El Campesino, which would’ve been in walking distance if not for the awkward hill and its surrounding trees. 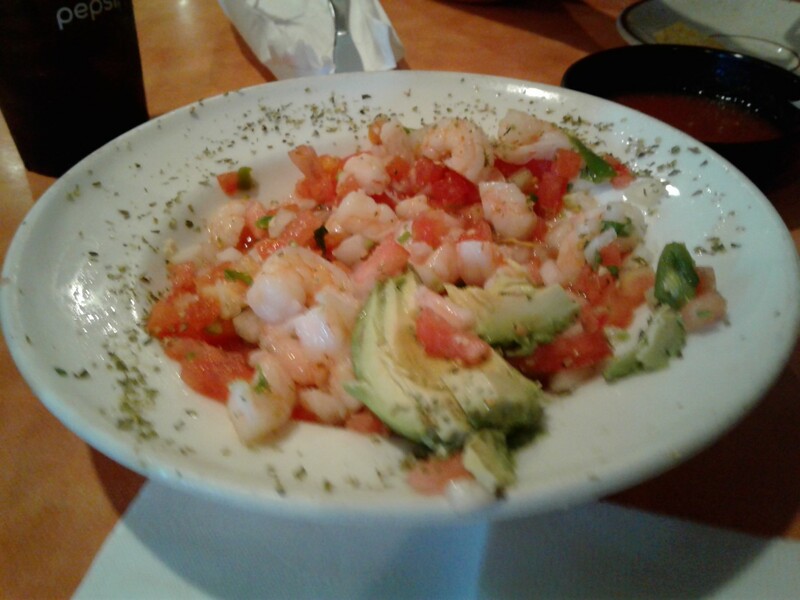 We started with a classy appetizer of ceviche, one of those dishes we’d never heard of till we started watching Chopped full-time. 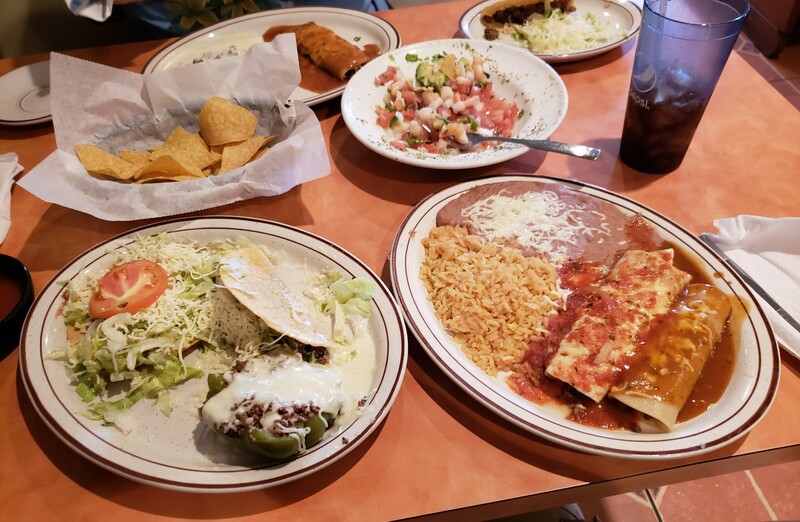 The two dishes in front were their “Special Combination”. I may have overdone it and failed to leave room for dessert or breathing. Worth it. 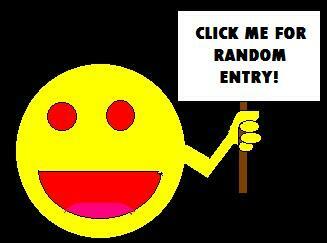 DAY SEVEN: Friday, July 13th. We checked out and hit the road. We had miles to go, more stops to make, two more dead Presidents to visit, and donuts to go fetch. 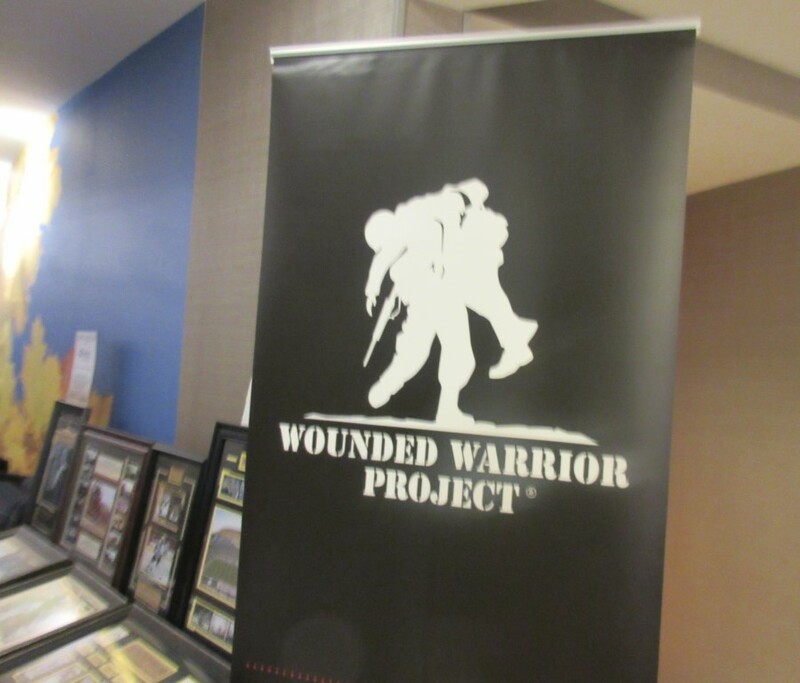 Down in the lobby, a charity event popped up from nowhere, tables all around. …the city of Pittsburgh. Our third visit there, in fact. I suppose we should pause a moment to cover the donuts, shouldn’t we? I mean, ALL the donuts. There’s an even better use for a hole.